Any Avengers movie released by Marvel Studios becomes the highest grossing movie of the year, and each movie beats is predecessor in terms of total box office collection. 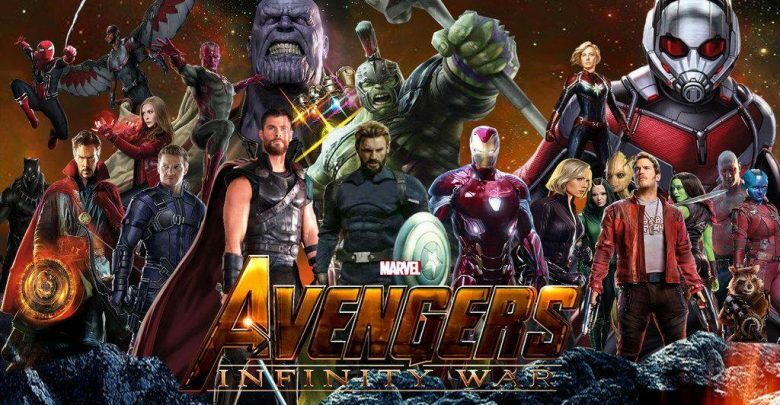 The movies are main crowd pleasers because they bring together all the superheroes and super villains of the Marvel Cinematic Universe on one screen. MCU fans simply love the collision of their favourite characters, as well as their colourful and vibrant personalities as well as their ability to fight villains and crack jokes at the same time. The same kind of chemistry was seen in Avengers: Infinity War, where, even in the face of sure defeat, the Avengers, split up in two distinct teams on two distinct planets, did not fail to maintain their vibrant personality, nor did they forget to crack jokes when the occasion called for it, especially when paired with other characters. So today, we are going to take a look at the top 10 character pairings in Avengers: Infinity War, which were simply loved and adored by MCU fans in the theatres. Read on to find out more. Although Banner and Shuri only shared a total of 20 to 25 seconds on screen, but this was the perfect scientific pairing that was expected from the movie, after the Banner-Stark pairing of Age of Ultron. Shuri, Black Panther’s sister, is one of the youngest and smartest scientists of Wakanda, who designed each every Wakandan weapon, transport, and even the Black Panther suit. And Bruce Banner is Bruce Banner, who, according to the words of Phil Coulson, is like Stephen Hawking. When these two geniuses paired up to inspect Vision’s Mind Stone and discuss about the procedure of taking it out, we truly got a glimpse of how smart both of these individuals are, and how much smarter Shuri is than Bruce Banner. Their screen pairing lasted only 10 seconds, but when Thor landed in Wakanda and decimated half of the Black Order soldiers, he found time to introduce Groot as his friend TREE to Captain America AKA Steve Rogers. Groot was as usual busy taking out Black Order soldiers, when he angrily uttered the only thing he knows how to say – I AM GROOT. To this, Cap replied that He is Steve Rogers. The moment this scene occurred, theatres around the world exploded with cheers, as this was the perfect introduction any MCU fan could have ever imagined. This was certainly a weird pairing, but tremendously loved by the crowd, however short-lived it might have been. Bucky and Rocket are heroes of the Marvel Cinematic Universe with guns as their primary weapons, and when they stand back to back to fight off soldiers of the Black Order on the battlefield in Wakanda, the theatres simply exploded with cheers and claps. Both Bucky and Rocket are comic book-y enough to not even ask why they should fight as a team, or to be more precise, Bucky does not think twice before teaming with a talking racoon to take down the Outriders. And yes, as expected, Rocket first asked Bucky for his gun, and then for his metal Winter Soldier arm, which was hilarious. It is true that not a lot of MCU movies make an effort to bring the ladies of the MCU together in any sequence. So the Russo brothers took it upon themselves to rectify this error. Avengers: Infinity War brought together Scarlet Witch, Okoye and Black Widow to fight against Proxima Midnight, one of the children of Thanos. The sequence starts with Black Widow being involved in an uber-cool action sequence, with Okoye lending a helping hand, and Scarlet Witch finishing Proxima off with the Black Order’s own weapon. Granted that this was not one of the top scenes or sequences of the movie, we still loved the females of the movie teaming up. Definitely not a fun pairing, the on screen time spent by Thanos and Gamora was full of sadness and depression, but was still memorable to any and every fan of the Marvel Cinematic Universe. Let’s face it – Thanos was the central character of Avengers: Infinity War, and the prime focus of the movie being the collection of Infinity Stones, the relationship between Thanos and Gamora, especially his decision to sacrifice his daughter to gain an Infinity Stone on Vormir, was something to behold. Although the death of Gamora saddened every single fan of the MCU, this pairing was truly loved by them, and everyone simply hated Thanos for killing her. Franchises coming together on one single screen can be a complicated affair, especially when you have 10 years’ worth of reputation to maintain. But the Russo brothers pulled it off perfectly when they brought together the Guardians of the Galaxy and Thor, and the crowd simply loved the pairing of Star-Lord and Thor. When the Guardians rescue Thor from the ruins of the Asgardian ship Thanos destroyed, Star-Lord suffers a sudden episode of inferiority complex, which forces him to start flexing his muscles, deepen his voice, and use an Australian accent, much like Thor. This entire pairing and sequence was tremendously hilarious, made even funnier with Drax’s mindless comments. Vision and Scarlet Witch are right at the top of the list when it comes to judging Tragic Lovers of the Marvel Cinematic Universe, followed closely by Captain America and Peggy Carter. In Infinity War, we see Vision and Wanda take their relationship to another level after the events of Civil War. Fans of the MCU have come to behold the couple as Romeo and Juliet, who steal a few moments of love and romance before rejoining their factions. Wanda seems to love Vision for his apparent humanity, while Vision seems to love Wanda because she makes him more human than he actually is. But alas, their romance is short-lived, as they get attached by Proxima Midnight while in Holland, and ultimately Vision is killed by Thanos when he extracts the mind stone from his forehead. The pairing of Star-Lord and Iron Man is something MCU fans were looking forward to for a long time, ever since Infinity War’s release date was announced. As expected, these two created the best possible on screen magic with their wit, ego and intelligence, but most importantly, with their sarcasm. In fact, the funniest moments of the movie were when Quill and Stark came together, which made the audience laugh quite a lot. It is no wonder that the scenes were funny, because Tony Stark meeting someone sassier than him is truly rare, and definitely funny, and he genuinely meets his sassy and immature match in Peter Quill. In fact, with Quill’s sarcasm and wit, Stark looks more like Captain America than Iron Man, which automatically elevates him to a position of authority over the team on Titan. If we are to talk about on screen magic, then we simply cannot miss out on the magic created on screen by the pairing of Iron Man and Doctor Strange. These two were paired together for almost the entirety of the movie, which really gave it the mileage it needed to succeed and break all records. In terms of character interaction, no one in the MCU holds a candle to Doctor Strange when it comes to challenging Tony Stark physically as well as verbally, especially when he calls Tony a douche bag on a regular basis. The dynamic moments created by Stark and Strange has no other on screen comparison in any MCU movie, and with Peter Parker a.k.a Spiderman providing comic relief to their scenes, the pairing was a resounding success. When the Guardians rescued Thor from the ruins of the Asgardian ship, he was almost immediately paired with Rocket and Groot on a trip to Nidavellir to create a weapon capable of killing Thanos. Thor calls Rocket a sweet rabbit and Groot by the name Tree throughout the movie, which really shows how ignorant Thor can really be, even when he is all powerful. This pairing also brought out a new caring nature in Rocket, who confirmed from Thor, while on their way to Nidavellir, whether he was alright to go on such a mission after losing his girlfriend, father, mother, brother, sister and best friend. We also see how Thor manages his emotions so that he can focus on the job at hand. Groot’s nonchalant attitude throughout their scenes, and his ultimate coming-of-age moment when he sacrifices his own arm to use as a handle for Thor’s Stormbreaker axe really gives testament to his evolving nature. All in all, we simply loved this pairing, right from Nidavellir till the battlegrounds of Wakanda.